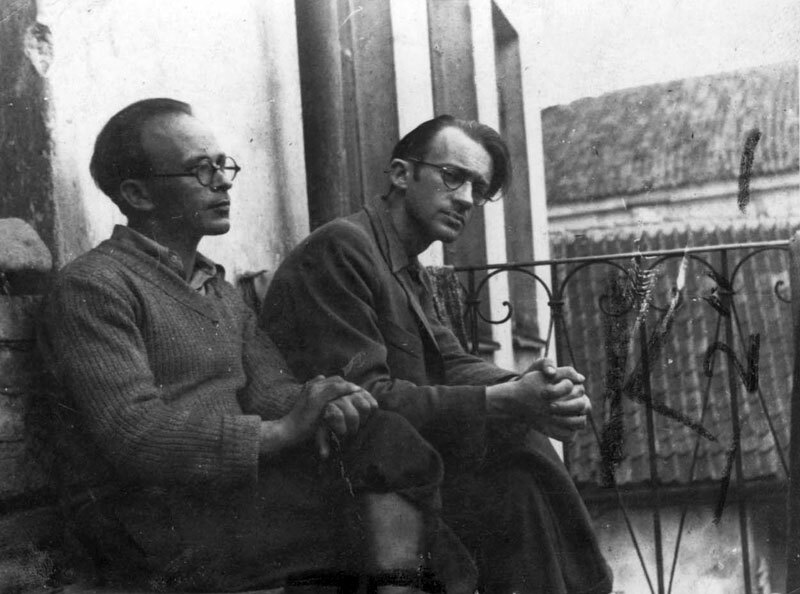 The murder of Vilna's Jews halted temporarily in December 1941 and a period of relative stability began. Until the liquidation of the ghetto in September 1943, of the 20,000 Jews in the ghetto, it was primarily the sick and elderly that were murdered. Nursing, education, health and cultural institutions were established in the ghetto. 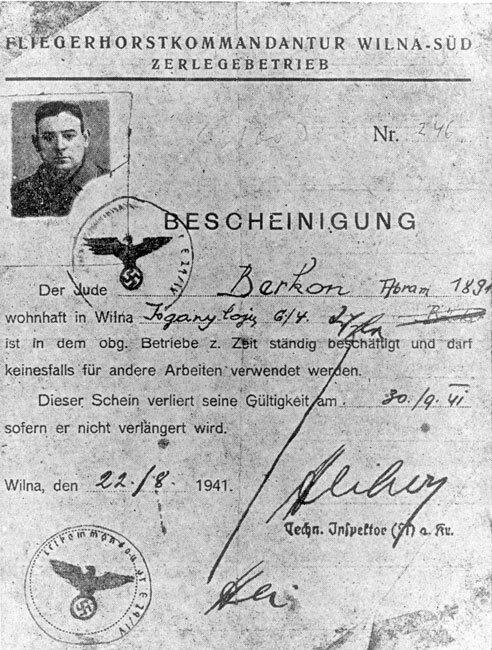 In July 1942 the Germans appointed Chief of Police Jacob Gens as sole leader of the ghetto and the Judenrat worked under him to manage the ghetto. 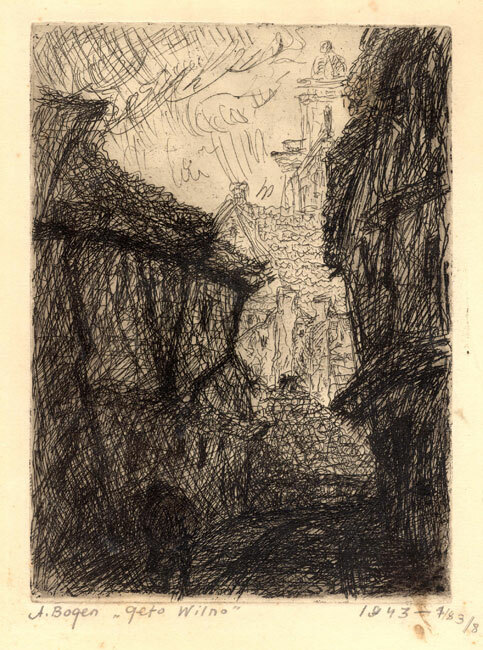 The perception of "working to live" strengthened, according to which a productive ghetto would secure the life of its inhabitants and buy them time until the German's defeat. With this perception in mind, Gens established workshops and factories and organised the ghetto as a productive unit that benefited the Germans. 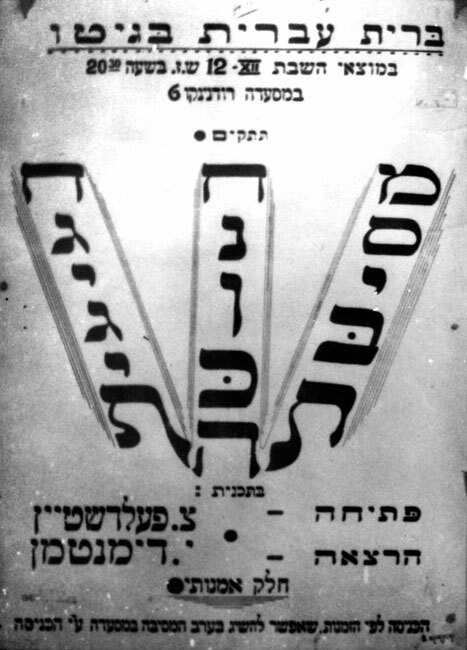 The Judenrat established departments for assisting with food, health, accommodation and work and departments for social work, education, culture and finances. Associations of lawyers, teachers, writers and artists were established. An old age home was founded and a public library was established on Strashun Street. 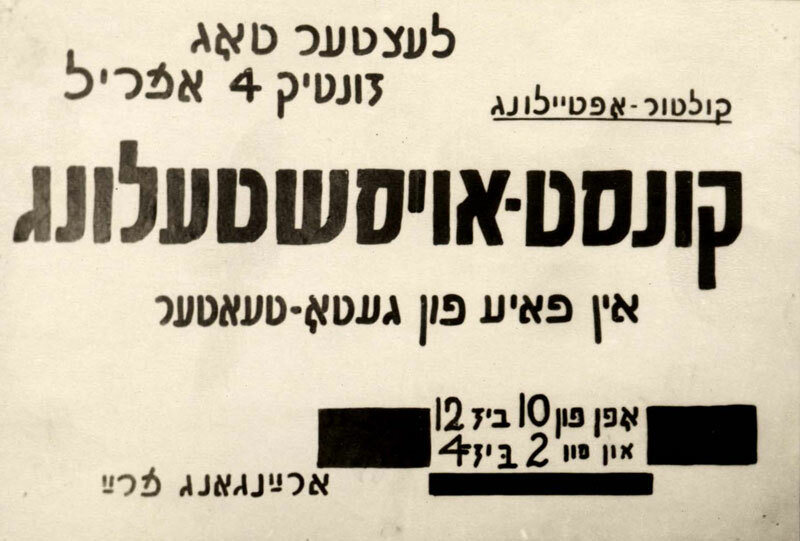 The library included an archive with much material about the ghetto including the theatre, orchestra, Hebrew and Yiddish choirs and a music school. 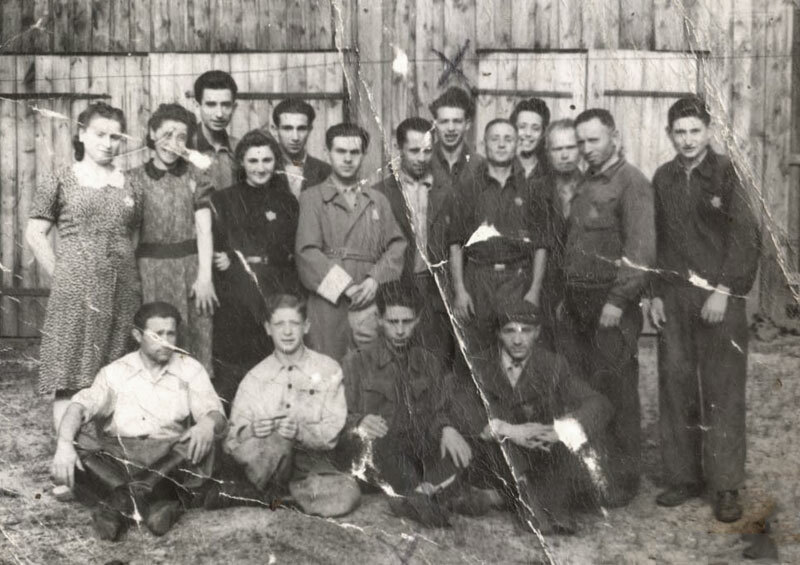 On the 17th of July 1942 following Gens's appointment as sole leader, the Jewish police arrested 84 elderly and sick Jews in their homes and a few days later handed them over to the Germans who murdered them in Ponary. There were rumours in the ghetto of additional aktions that had taken place against women and children. In a speech to the heads of households, Gens claimed that he had refused the orders of the Germans to take children and that no further aktions were expected. In Autumn 1942 the Germans decided to murder 1,500 Jews from Oszmiana. 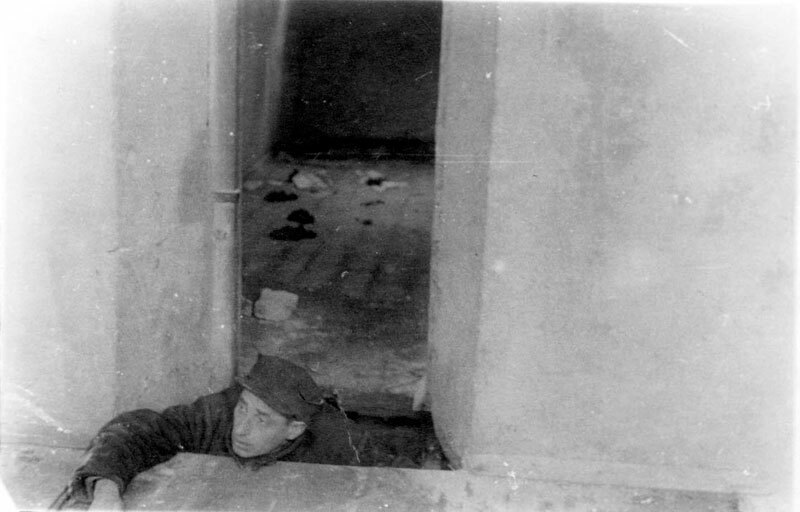 The members of the FPO (Fareynegte Partizaner Organizatsye – United Partisan Organisation) knew about the planned aktion; they sent underground member Liza Magun to warn the Jews of Oszmiana before the aktion, she managed to sneak into the Oszmiana Ghetto and to make contact with its residents but they did not believe her warning. 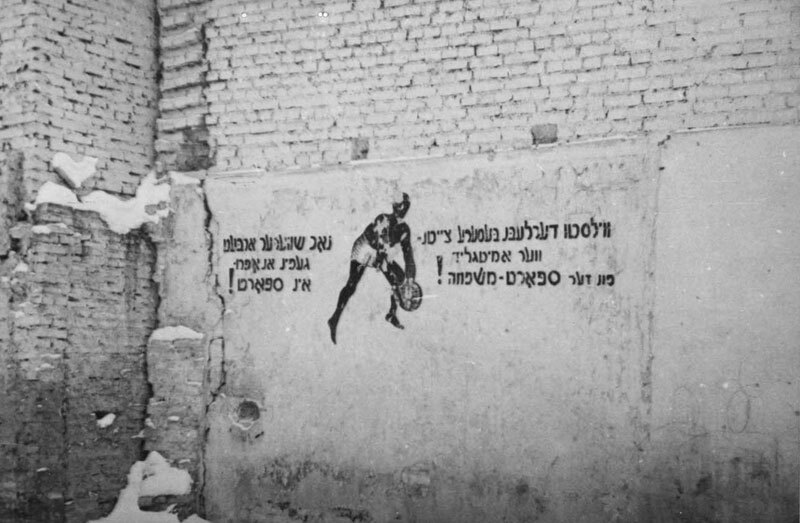 I do not want to dirty my hands and to send my police to carry out this contemptible act but I say that it is indeed my task to sully my hands, because the Jewish people is living through its most terrible period… and it is our job to save the strong ones, the young, not just in age but in spirit, and not to be dragged along by emotions. During the "period of relative stability" the aktions stopped as the German losses in the war and the murder of Jews and Soviet prisoners of war had led to a severe shortage of manpower. Lithuanians held back from enlisting for work since they understood that cooperating with the Germans would not lead to their independence but rather the opposite. The value of the Jews who remained as a work force in the ghettos increased. 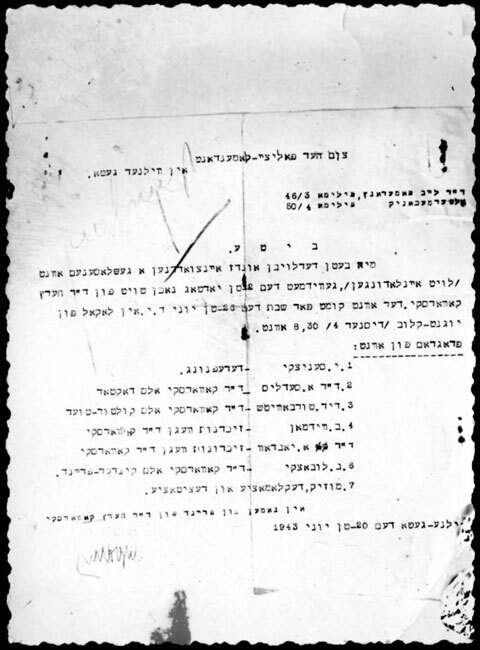 In April 1942 the validity of the scheins expired but in Vilna fresh work certificates were issued and the fear of an immediate liquidation of the ghetto waned.